Walsh Family Wine, a boutique Loudoun wine producer, opened its tasting room to the public this past weekend. The property two miles south of Hillsboro was formerly home to North Gate Vineyards. The newest addition to our growing vineyards here in Loudoun, this is a beautiful space, with great wine, yummy menu and a perfect patio for this amazing spring weather we are having! 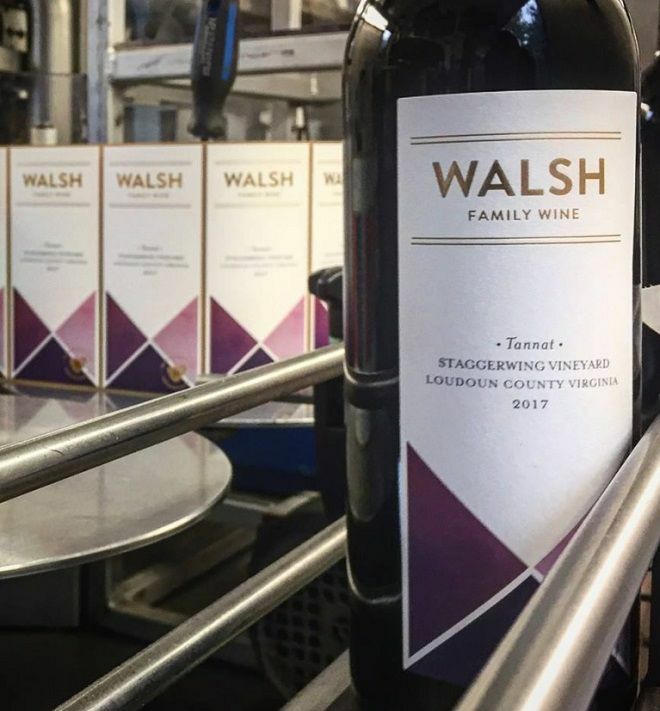 In addition to their own labels, Walsh Family Wine will curate a “Bar Takeover” series that invites other Virginia winemakers to present their wines in an intimate setting one Friday each month. The Walshes say reservations are recommended for an hour-long tour and tasting at the new winery, but it will also be open for drop-in tastings. Walsh Family Wine is located at 16031 Hillsboro Road, Purcellville Va 20132. Visit their website here for hours and more information.